The birth of Chateau Pibran dates back to the start of the 20th century. The estate was bought in 1941 by Paul Pibran Billa. Paul Pibran Billa renamed the property, using his middle name of Pibran. 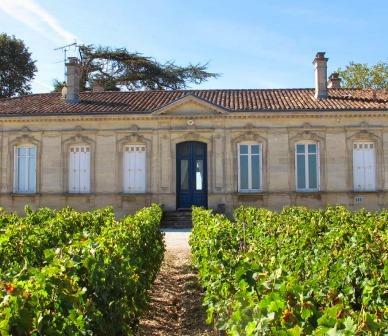 While the vineyard is young by Bordeaux standards, the modern era begins when the estate was sold to the AXA group. Chateau Pibran was purchased by the AXA group in 1987 from the Billa family. At the time of the purchase, Jean Michel Cazes of Chateau Lynch Bages was placed in charge of managing the estate for AXA. The AXA group invested a lot of money in Pibran starting in 1988. In fact, the estate was completely renovated. Most of the vineyards were replanted and a new drainage system was installed. The chateau was also renovated and new cellars were constructed. Christian Seely took over managing Chateau Pibran in 2000. Chateau Pibran is in good company with the AXA group who own numerous Bordeaux estates in the Left Bank, Pomerol and Sauternes as well as other wineries in Portugal and Hungary. They count among their holdings Chateau Pichon Baron in Pauillac, Chateau Suduiraut in Sauternes and Chateau Petit Village in Pomerol. Since Chateau Pibran was obtained by the AXA group, serious amounts of money have been invested in the vineyards, wine making facilities and chateau in an effort to revitalize Chateau Pibran. In 2001, the AXA group enlarged the estate with the purchase of additional vines in Pauillac when they obtained the neighboring estate, Chateau La Tour Pibran. The 17 hectare vineyard of Chateau Pibran is planted to 54% Merlot, 45% Cabernet Sauvignon, and 1% Petit Verdot. With that much Merlot planted in their vineyards, Chateau Pibran has perhaps the largest percentage of Merlot in Pauillac. Chateau Pibran has some very good neighbors in the Pauillac appellation including Chateau Mouton Rothschild, Chateau Pontet Canet and further east, not far from Chateau Grand Puy Lacoste. The terroir is gravelly soils. On average, the vines are 30 years of age. The Medoc vineyard of Chateau Pibran is planted to a vine density of 9,000 vines per hectare. The wine of Chateau Pibran is vinified in temperature controlled stainless steel vats. Malolactic fermentation takes place in tank. The wine is aged in 50% new, French oak barrels for between 12 to 15 months, depending on the vintage. There is a second wine, La Tour Pibran. Close to 6,500 cases of Chateau Pibran are produced on average in each vintage. Chateau Pibran can be enjoyed on the young side with decanting. Young vintages can be decanted for an average of 1-2 hours, give or take. This allows the wine to soften and open its perfume. Older vintages might need very little decanting, just enough to remove the sediment. Chateau Pibran is usually better with at least 6-8 years of bottle age. Of course that can vary slightly, depending on the vintage character. Chateau Pibran offers its best drinking and should reach peak maturity between 10-18 years of age after the vintage. Chateau Pibran is best served at 15.5 degrees Celsius, 60 degrees Fahrenheit. The cool, almost cellar temperature gives the wine more freshness and lift. Chateau Pibran is best served with all types of classic meat dishes, veal, pork, beef, lamb, duck, game, roast chicken, roasted, braised and grilled dishes. Chateau Pibran is also good with Asian dishes, hearty fish courses like tuna, mushrooms and pasta. 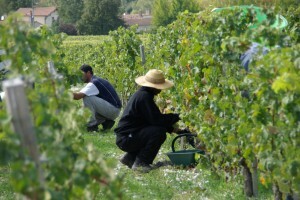 The wine of Chateau Pibran is produced by the same technical team that makes Chateau Pichon Baron. In fact the wine of Chateau Pibran is vinified at Chateau Pichon Baron and then moved in barrel, for aging in the cellars of Pibran. With chocolate and floral inflection topping the dark, red fruits, this wine is medium bodied and forward with scattering of dusty tannins in the finish. Made from a blend of 68% Merlot and 32% Cabernet Sauvignon, you can drink this young. The higher than usual percentage of Merlot is due to the effects of the frost. From a blend of 55% Merlot and 45% Cabernet Sauvignon, this wine is crisp, fresh and lively, combining sweet cassis, licorice and spice. Medium bodied, the finish has a piquant, bright, fruity note. Medium bodied, forward, with an uncomplicated focus on cassis and cranberries, the wine ends with an austere, dusty, tobacco tinged finish. Made from a blend of 52% Cabernet Sauvignon and 48% Merlot, this will be best in its youth, or with another year or two of aging. Medium bodied, crisp, bright red fruits, tobacco and spice notes lead to a sharp, crunchy, red berry finish. Tobacco, oak and cherry aromas open to a Pibran with a touch of elegance in the tannins, which is an improvement in this estate, which is more often on the rustic side of the style range, finishing with a nice blast of black cherry and cassis. From a blend of 60% Merlot and 40% Cabernet Sauvignon, this forward, open Pauillac serves up a nose of espresso bean, blackberry, cocoa and plum on the nose. The fruit is fresh, the wine has a nice roundness to texture, ending with sweet, black cherries. This is a great value from a region that continues to be more expensive with each vintage. At full maturity, the wine is medium bodied, earthy and fresh, there is a strong, earth and forest overtone to the red fruit, and just a hint of rusticity in the bright, red fruit finish. There is no reason to hold this for future drinking. Ready to drink, medium bodied, and showing off its tobacco, cedar wood and cassis character, there is a gruffness in the tannins. Cassis, red berries, earth, coffee and tobacco in the nose, the wine is better on the nose than on the palate. This is on the traditional, rustic, four square side of the style range.. Distinctive herbal and cherry pipe tobacco nose, the wine is mature, slightly tart and spicy in its fresh cassis and cranberry finish. The color of dark, strawberry tea, herb, forest and dark red berry fruits are at the forefront of the wine. Dusty, starting to tire and lacking in freshness, this is past its prime and needs to be drunk up sooner than later. Pale ruby with bricking in color, scents of cedar chest, cherries and leaves lead to a medium bodied wine that ends with light red and black fruits and tart cranberry. This wine is already in decline.